The Dietrich Corporations and Foundations, Philadelphia. Director and curator. 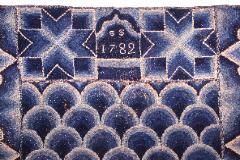 The National Society of The Colonial Dames of America. Project director The Magazine Antiques [July 2007]. Rhode Island Council for the Humanities, Providence. Interim and change management. Bates College Museum of Art, Lewiston, Maine. Change management and fund raising. The Kreeger Museum and Foundation, Washington, DC. Start-up operations. Museum of Arts and Design [American Craft Museum] New York, NY. Transition facilitation, building shake-down. Harvard Art Museums, Harvard University, Cambridge. American Association of Museums Accreditation. Tate House Museum, Stroudwater, Portland, Maine. Governance and change management. Loring-Greenough House, Jamaica Plain, MA. Bylaws, Board Facilitation, Strategic Planning, Business Plan. Plymouth 400, Plymouth, MA. Capacity building and Change Management. Randolph Women's Club and Ladies Library Association, Randolph, MA. Board Facilitation, Strategic Planning. Cape Cod Museum of Art, Dennis, MA. Board Facilitation, Strategic Planning, Capacity Building. Fleet Financial Group, The Fleet Charitable Trust, Providence. Analysis and Redesign. Loring-Greenough House, Jamaica Plain, Massachusetts. Federal, State, Local, Foundation, Association, Private. The Rose Fitzgerald Kennedy Greenway Conservancy, Boston. Corporate Sponsorships. The Dietrich Corporations and Foundations, Philadelphia. Donations. publ.]. Private and Art Objects. Rhode Island Council for the Humanities, Providence. Federal, State, Local, Foundation, Private. Bates College Museum of Art, Lewiston, Maine. Federal, State, Internal, Foundation. Harvard-Smithsonian Astrophysical Observatory, Cambridge. Manager, Grant Awards Section. Hingham Heritage Museum. Executive Director. The National Partnership, Washington, DC. Vice President of Finance. The State Justice Institute, Alexandria, VA. Director of Management and Development. 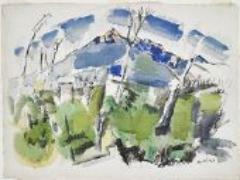 Center: John Marin, Mt. Chocorua No. 1, Watercolor, 1926. Client: Harvard Art Museums. 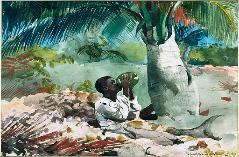 Center: Winslow Homer, Under the Coco Palm, Watercolor,1898. Client: Harvard Art Museums.